Luminaires as energy converters evidently have something to do with climate change. The switch from incandescent lamps to LEDs changed the entire industry almost overnight. And the designs changed, as the business models and value-added chains were restructured. Moreover the LEDs’ semiconductor technology is open to digital manipulation, which creates additional options. Whether the ban on selling lamps and halogen lamps will play a key role in reducing or braking anthropogenic global warming seems doubtful. But irrespective of whether it is merely a symbolic act: The politically boosted technological change has caused a lot of new things as regards lighting. There are hardly any limits to how you can arrange LEDs, the what you put them in and what aura the emit. An inexhaustible playing field for human creativity is emerging, and thus we repeatedly feel the special magic of light, as with Stefan Diez’s luminaire “Guise” for Vibia. Since its initial launch at MAK Köln in Jnauary, it’s moved along fast toward mass production. Renounced brands such as Artemide or Flos, initially more challenged than inspired by the new technologies, now offer a colorful bouquet of new products. "Guise" uses the total reflection of glass and deliberately fractures it in places. At the same time. The scene is more opaque for the layperson than ever. What quality the new light actually has is something that Watt or Lumen figures no longer tell you reliably. 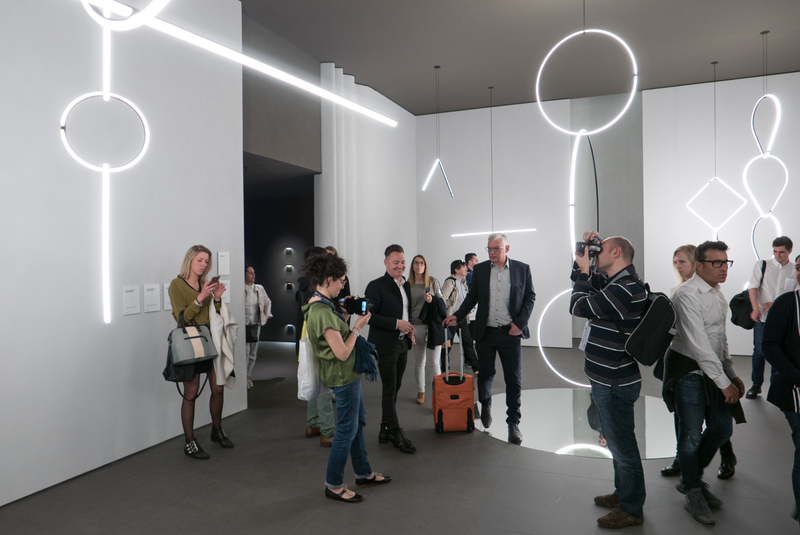 Even for mass products the quality can now only be defined in a lighting lab say experts such as Hamburg-based lighting planner Peter Andres. While at the beginning of the Big Change it was the narrative of the new technology’s efficiency that prevailed, things have since returned more to normal, meaning that questions of actual or claimed economic viability tend to get ignored now. And in Milan, in Euroluce 2017 it is the decorators who have taken the helm. The LED light now preferentially gleam from satin hand-blown spheres attached in rows on finely finished metallic structures – usually made of polished brass. In this way, the luminaires fit with the tastefully contemporary home furnishings that serve all forms of relaxation without one really being able to knock the corresponding designs. They dip a room in a clear, not-too-bright feel-good light. Designer Michael Anastassiades was a pioneer of this trend, and there are now plenty of me-toos. 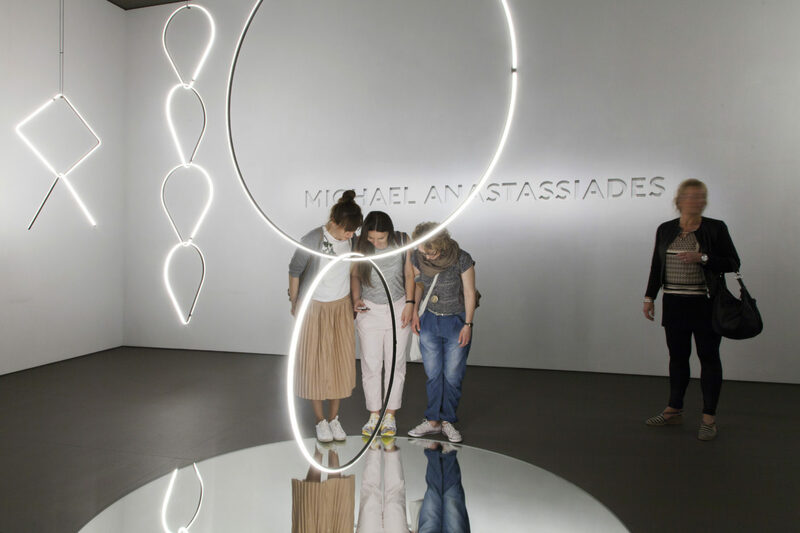 Anastassiades has long since moved on to new shapes and structures, such as were on show at the Flos booth. His “Arrangements” fill entire large rooms, and he takes his cue from decorative jewelry such as earrings or necklaces. He blows them up into large pendant shapes that not only illuminate a space but dominate it like candelabra would. En route for new dimensions: Michael Anastassiades’ LED “Arrangements” take their cue from refined jewelry and transform them into ornamentation for the room. 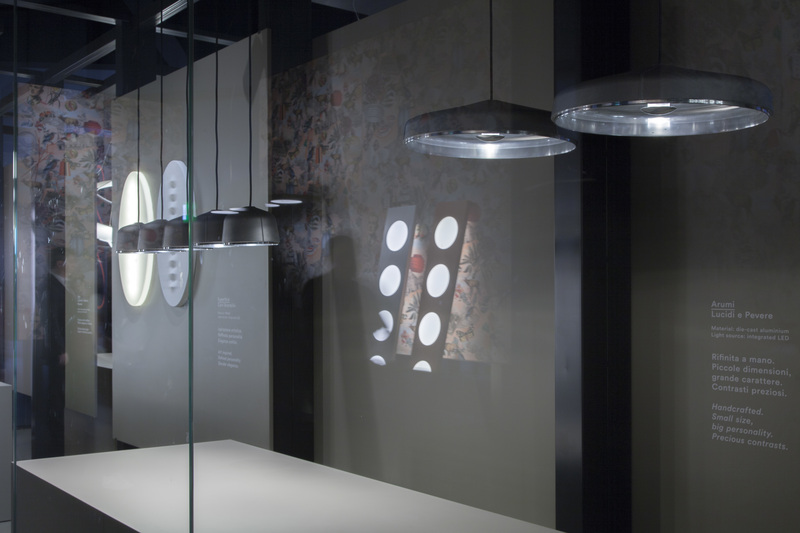 Foscarini broadens the diversity of shapes to include playful objects such as the die-cast aluminum “Arumi” by Paolo Lucidi and Luca Pevere – with workings of transparent plastic that regulate light distribution. “Filo” by Andrea Anastasio makes the elements of the luminaire (from the shade and cable through to the canopy) into discrete pieces that are seemingly arbitrarily rolled round a rod and yet provide light. A mixture of objet trouvé and DIY, “Filo” also attests to how hard it is to find new shapes and also that no one need despair. 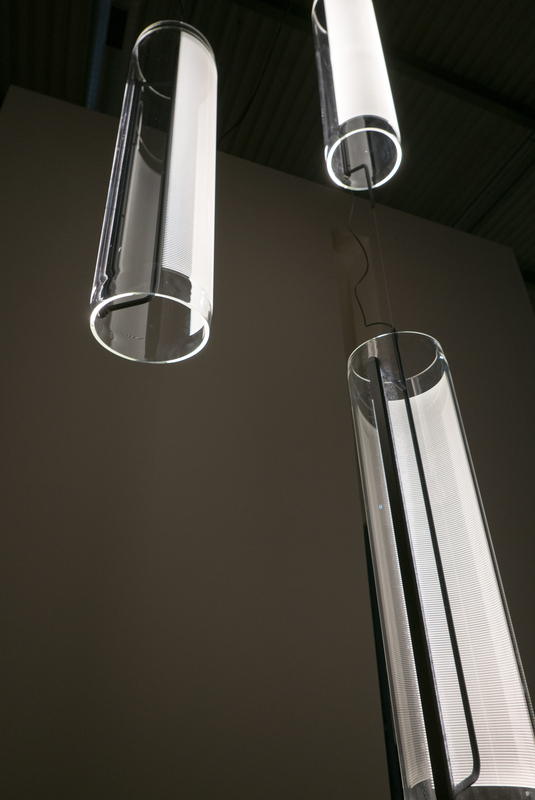 Hand-blown transparent glass bodies feature in “Harry H.”, a hybrid luminaire by Carlotta de Bevilacqua for Artemide with a LED up-spot for the ceiling and shimmering OLED elements by LG Display on the sides. 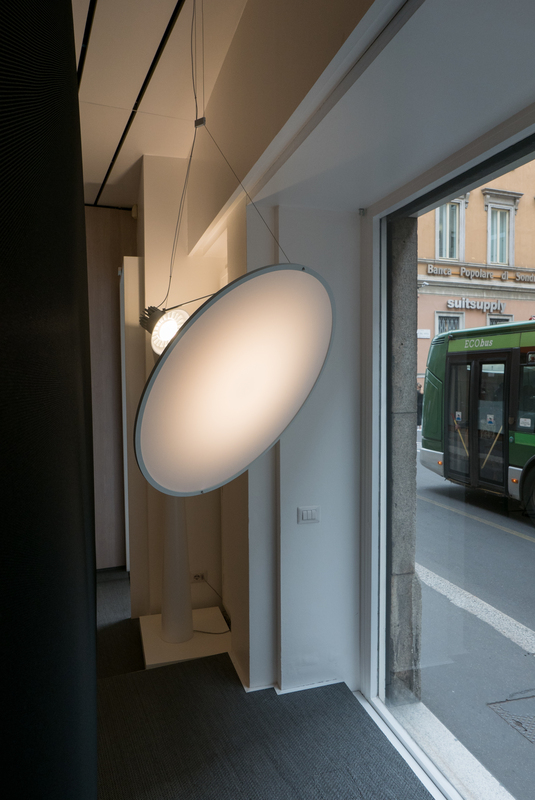 Michele De Lucchi also uses a transparent glass sphere for his “Ipno” luminaire, which boasts a lightly satin underbelly. Together with a prismatic plastic element, this roughened surface ensures special light diffusion. For Luceplan Daniel Rybakken has pressed ahead with research into light and shadow: “Amisol” provides soft light using a large metallic or opaque plastic shade. 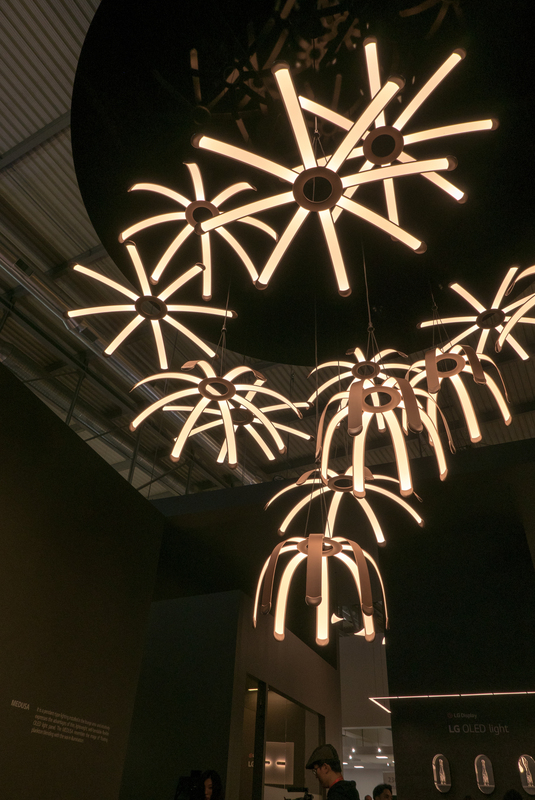 On the basis of the “Compendium” light, Rybakken has developed new, expansive shapes. Between objet trouvé and DIY: In the form of “Filo”, Andrea Anastasio (Foscarini) configures the exclusive and the trivial components in a luminaire into a new entity. The technology providers are also playing an ever more important role. 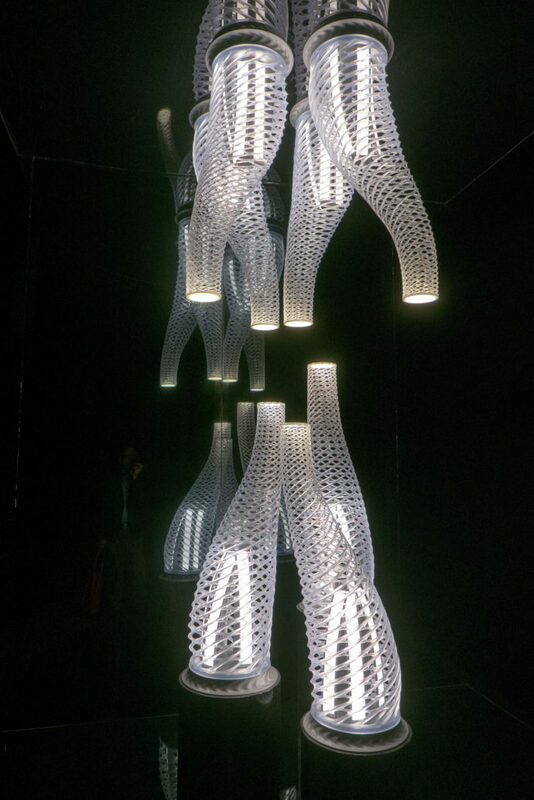 At Euroluce it was LG Displays with design studies by Ross Lovegrove – “Medusa” and “Pyrosome” – which use OLED elements. 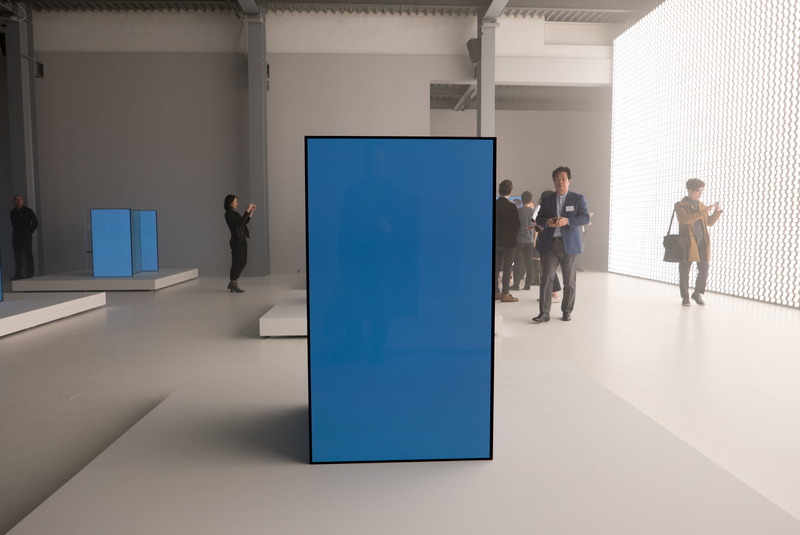 In the city, at Superstudio Più, the Korean parent company LG proudly presented the staging of “S.F._Senses of the future” by Japanese designer Tokujin Yoshioka. In a large hall with a spiritual undertone, he arranged OLED screens to form furniture structures that are illuminated right round – in front of a wall of 30,000 square OLED lighting foils. The show easily bagged the Milano Design Award for the best staging. Using far less materials and cash, students from Kunsthochschule Berlin Weißensee made a big splash at the 20th Salone Satellite: Their semester project (www.ReactiveLight.de) – with Professor of Product Design Carola Zwick and designer Felix Groll as the mentors – presented 11 bright examples that playfully showed artificial light not as static objects but as a mutable quality and quantity. 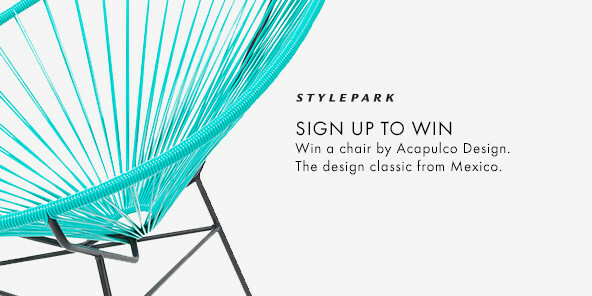 These young wannabe designers effectively grabbed the limelight from many a traditional company at hand. 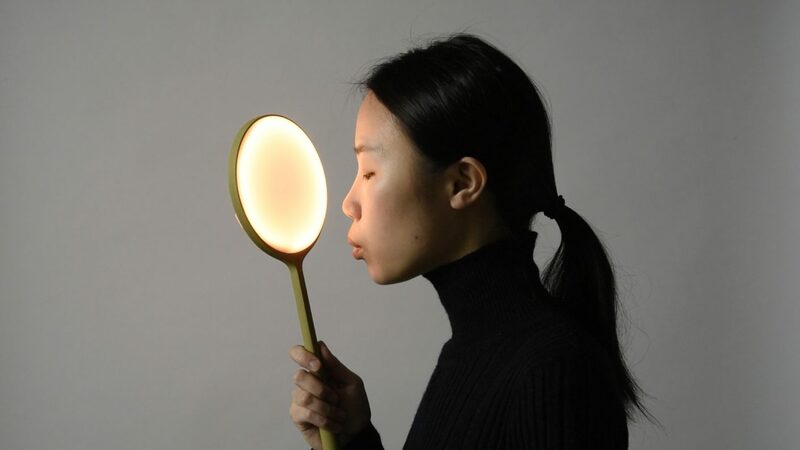 For example in the form of a luminaire where the brightness adjust if you blow on it lightly and you can vigorously blow it out or on (“Breeze”, Xinyue Yang). Thus these up-and-coming designers reminded us that artificial light can be so much more than merely a housing in which electricial energy is turned into brightness. 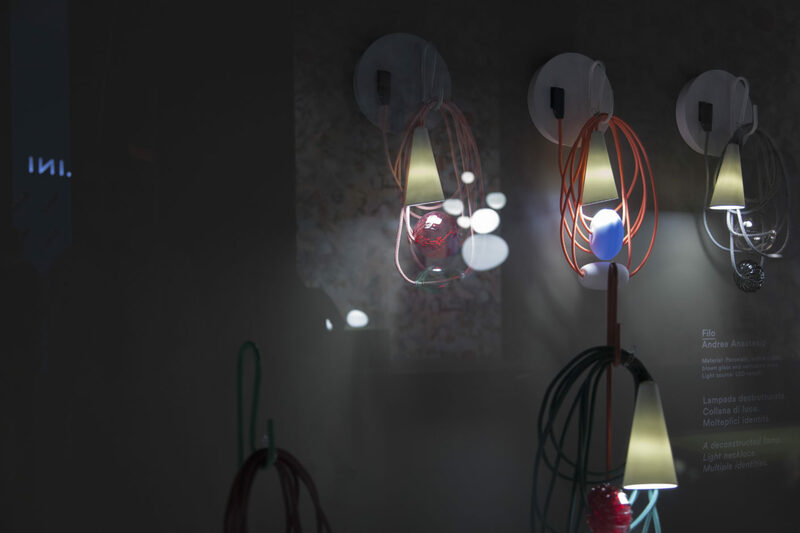 Meaningful: Design students from Kunsthochschule Weißensee showed (in this case with “Breeze” by Xinyue Yang) how static luminaires can be transformed into reactive light. 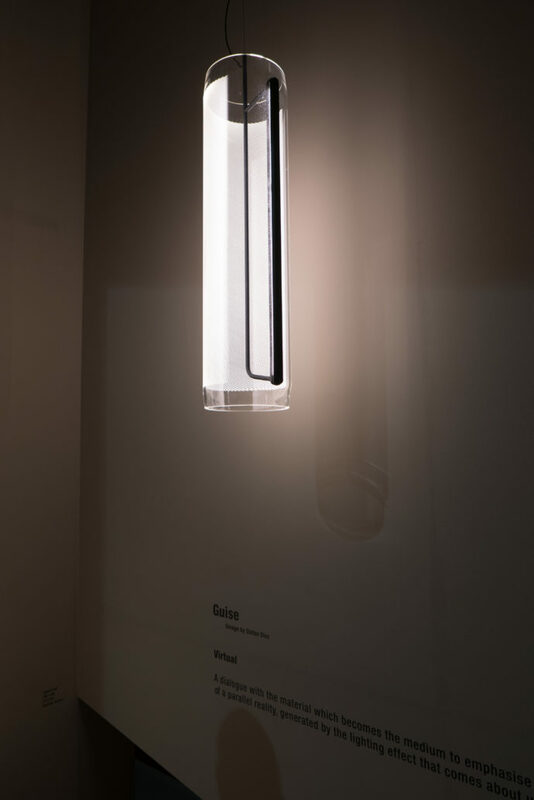 Hybrid light: For “Harry H.”, Carlotta de Bevilacqua (Artemide) takes flat OLED module and LED spots aimed at the ceiling in handblown glass bodies. Hand-made die-cast aluminum: In the form of “Arumi”, Lucidi and Pevere (Foscarini) have lent new gravitas to the pendant luminaire. Korean-Japanese collaboration: Designer Tokujin Yoshioka and LG received the award for the best presentation at the “Fuori” for their OLED installation “S.F._Senses of the future”. 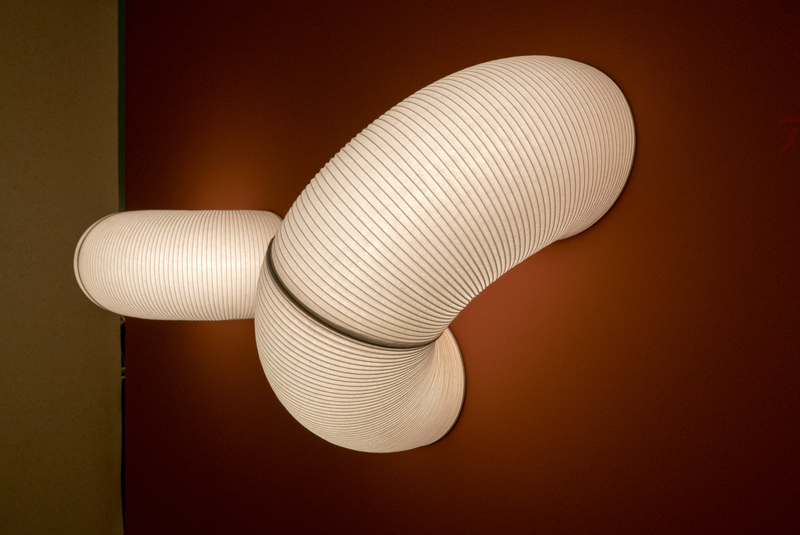 The effects of light: Daniel Rybakken creates special light effects with “Amisol” (Luceplan). 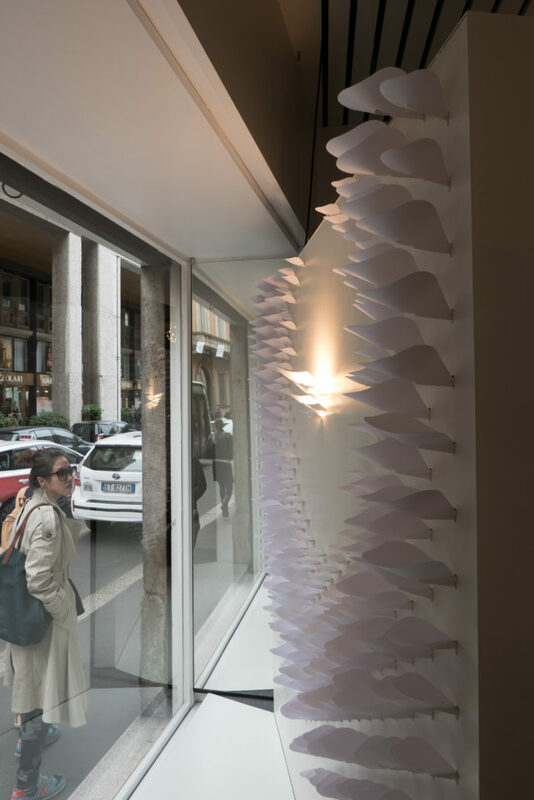 Francesco Gomez Paz with his “Ivy” dissolves the luminaire into its elements and places the technology on the wall (Luceplan). East meets West: Traditional Japanese “Chochin” lanterns are transformed by British designer Anthony Dickens (Santa & Cole) into an LED-lit modular system for individual luminaires or expansive lighting bodies with his “Tekio”. Module and illuminating animal: “Medusa” is the name of an OLED element for installations by Ross Lovegrove (LG Display). “Pyrosome” is the name Ross Lovegrove gives his luminaire sculpture that takes its cue from the luminescent pyrosomes that live in the ocean and are sometimes called fire sales (LG Display).